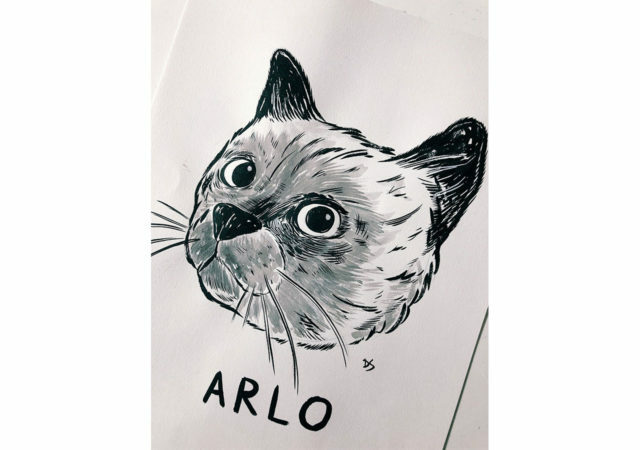 Presenting Arlo, a new personal illustration from Danny Sangra. We understand it’s the first in a series, though whether that might be a series of portraits of cats, portraits of pets named after folk-singers, or a theme as yet unguessed, we don’t know. The one thing we do know is that trying to predict what Danny will do next is a fool’s errand. Or like herding cats.